Hljómsveitin Pachora hélt eftirminnilega tónleika á Jazzhátíð Reykjavíkur 2003. Hin ómótstæðilega blanda tónlistar miðausturlanda og margbreytilegra áhrifa – sem Jim Black, Skúli Sverrisson, Brad Schepik og Chris Speed hafa orðið fyrir á spennandi ferli – koma saman í skemmtilegri og ögrandi hljóðmynd. 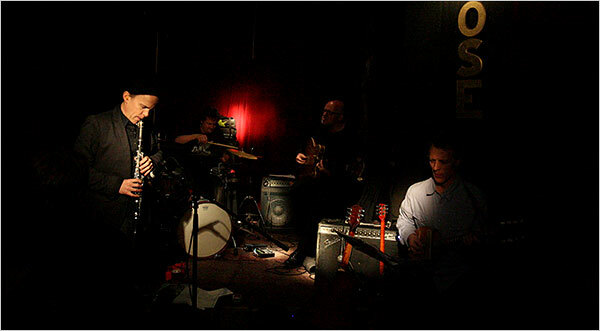 Pachora presented it’s irresistible blend of middle eastern and influences with current exciting urban music at the Reykjavik Jazz Festival in 2003. This year they will present a much anticipated encore featuring the original members, Jim Black, Skuli Sverrisson, Brad Schepik and Chris Speed.